Boston, May 2018: A Massachusetts college student has just set a new record in the running world and we bet it has never been in your bucket list before. 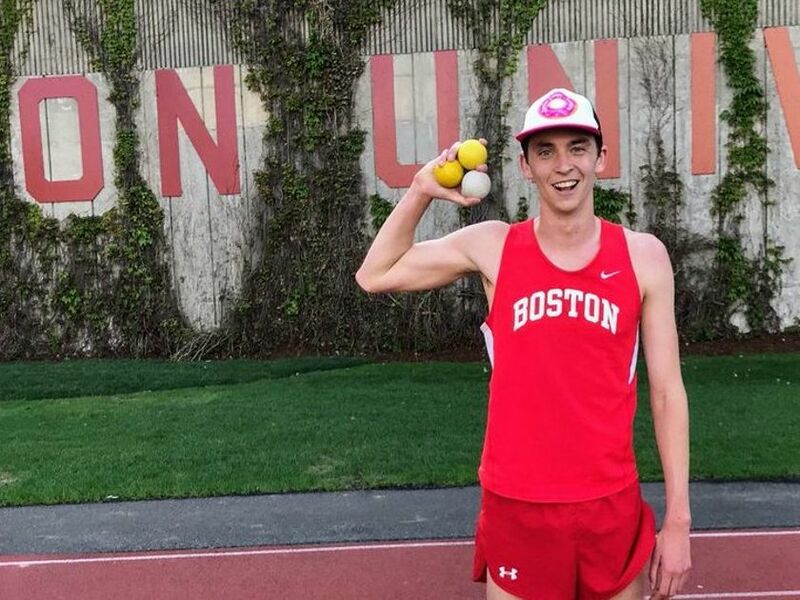 The Boston-based student has decided to run one of the fastest miles by setting a record while juggling, aka “Joggling”. 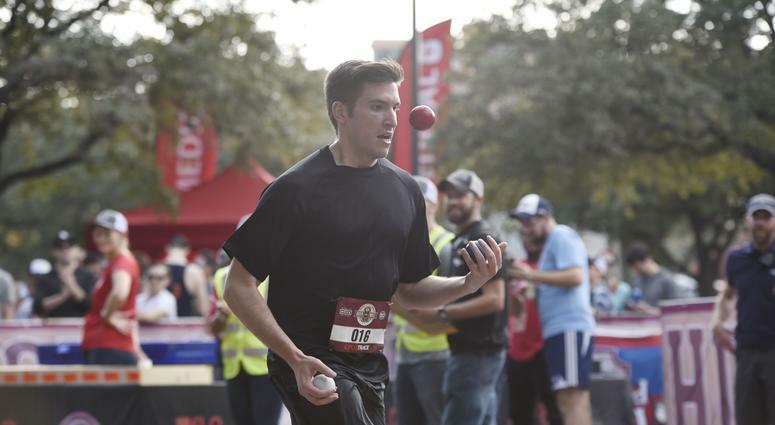 The man whose name is Zach Prescott, a business student on Boston University, was able to run for 4 minutes, 43.2 seconds on Tuesday this week while juggling not two, but three lacrosse balls! In an interview minutes after the achieving the milestone, Prescott told The Boston Globe that it is all about rhythms and focus. “Once you get used to the speed I’m running, you’re pretty much just juggling in place,” he told the journalist. Even though the record still needs to be verified, the Boston-based student’s time would beat the old world record by 0.6 seconds. Currently speaking, there is a Guinness World Records spokeswoman who is evaluating the case. He said that the organization is fully aware of Prescott’s feat and that they are currently deciding whether he beat the old record which was set in 1986 or not. This process can take weeks if not months before the organization can reach to a conclusion. We’re sure you have heard at least once in your life how running is a true medicine. Well, it’s not just a simple expression, it the reality! There already exists tons of scientific evidence that back this expression and also can convince us how important and life-changing running can be. Some of the most evident benefits one can get from running include prevention type 2 Diabetes, heart disease, lower high blood pressure, prevention of several types of cancers and stroke among others. 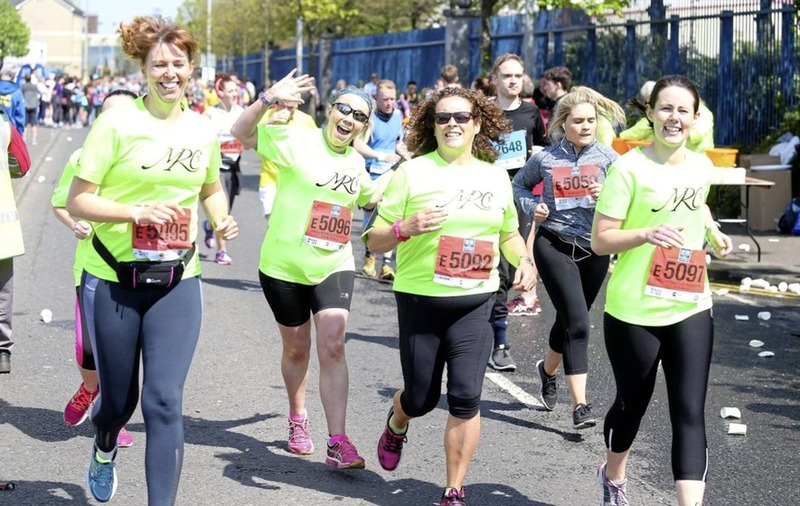 Another area running has proven to be quite beneficial has to do with your mental health. This cardio activity helps regulate our overall mood and makes us happier. Well, the first benefit is quite obvious right? People all over the world use running as a great, effective tool to shed some extra pounds and get back in shape. Running has the potential to make us burn a lot of calories in a short amount of time due to its intense rhythm and overall body movements. Several studies have also indicated that running boosts the “afterburn” effect, which indicates the calories burned after the workout is done. There is nothing that can discuss the fact that any type of exercise, especially the ones similar to running, no matter your current mood, has the potential to put you in a better mental place with the help of the “runner’s high” effect. This effect indicates the rush of happy hormones in our body. 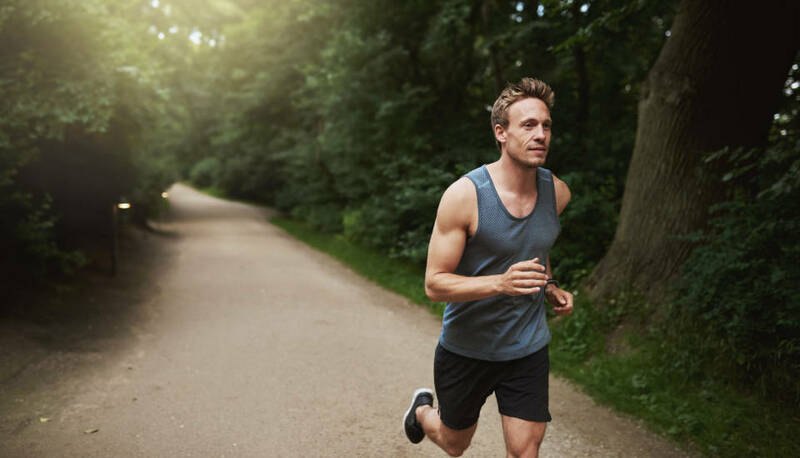 Many studies have shown how even 30 minutes of slow-intense running can improve one’s mood even when the individual might be suffering from clinical depression. We’re not claiming that running has the potential to cure cancer or similar diseases, but we’re completely convinced that it helps prevent them! And this is not just our honest opinion here. Science has been proving this as a true fact for a long time now. The truth is, according to a study by Journal of Nutrition, proved that exercise, especially running, is directly associated with a reduced risk of many types of cancers. Also, experts claim that running can significantly help people who are already suffering from cancer as well. This activity can help one better cope with chemotherapy and feel happier while undergoing the necessary treatments. 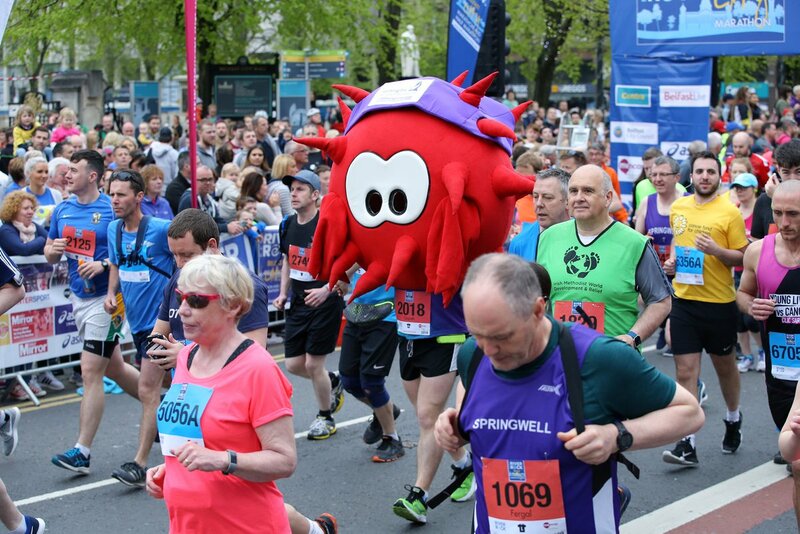 Yesterday, May 7, nearly 17,000 runners and athletes conquered Belfast’s city streets to complete the annual marathon map and also, raise money for different charity causes in the area. Yesterday’s event marked the 37th annual race which features both men’s and women’s races. This season, the one to dominate both of the race segments were Kenyans with Eric Koech, who won the men’s race, and Caroline Kepchirchir who took the women’s one. Second place went to Kilkeel’s Laura Graham, who won last year’s women’s race. This year, there were more than 300 members of Co Tyrone GAA clubs: Clonoe O’Rahilly and Pomeroy Plunketts, who had decided to become part of the major, challenging event. Everyone can recall the tragedy the Plunketts suffered last year when two of their players lost their lives. Christopher Colhoun, who passed away after being diagnosed with severe flu, and Colin McCreesh. Colhoun’s wife Lisa was running the other day in memory of her husband and all the raised money are expected to go at St Patrick’s Primary School where her husband had been working for many years. On the other hand, Castlecaulfield runner Spiderman (Chris Morrow), decided to team up with four other superheroes in memory of his little cousin Jayden Morrow who passed away in August 2017 from cancer. “We are raising money for Angel Wishes. They supported Jayden for a year and did everything for him. The target was £2,000 but I have raised £2,000 myself. I ran the marathon two years ago for him as well but this year is the hardest as he is no longer with us,” Chris Morrow said. “His mum and dad will be at the finishing line in Ormeau Park with his brother and we have had a banner made for them to hold. It will be an emotional finish,” Morrow added.